"This spicy dip recipe is great for dipping almost any thing worth dipping." In a medium bowl, stir together the sour cream, horseradish and lemon juice. Season with salt, paprika, garlic salt and minced onion. Mix and then chill for about 20 minutes to let the flavors blend before you start dipping. Very easy and yummy. Exactly what I was looking for to serve with roast beef. We really liked this recipe. I didn't have dried onion so I minced about a tablespoon of fresh onion and it turned out great! Delicious! I have served this with everything you can think of and everyone has raved each time. Thanks. Served this with Salmon Patties, Delicious!! Would be really good with roast beef also. 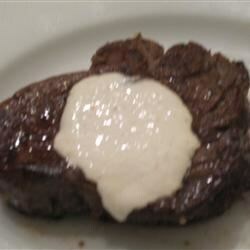 Really great - though I usually use the Hot Horseradish, and bump it up to nearly a half a cup.